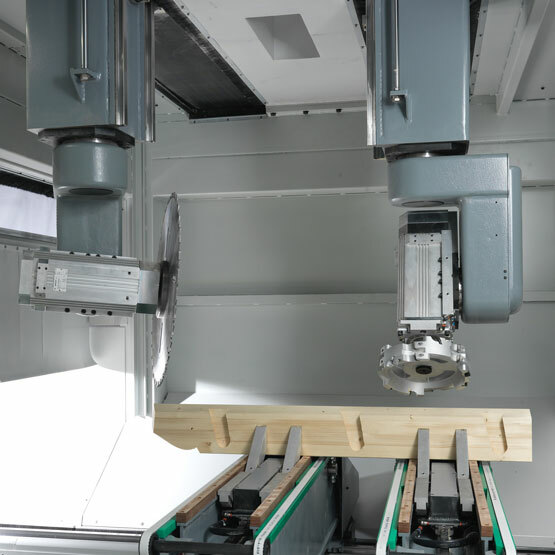 Biesse says its Uniteam CK processing center is engineered to meet the demands of flexible 5-axis CNC machining of mass timber and laminated beam components. It is equipped with a fixed doorway structure that houses the working units used for the main machining operations. The machine's system for moving beams uses the controlled movement of independent clamps and every clamp has both vertical and horizontal clamping, which can be automatically excluded to allow for every machining operation required. 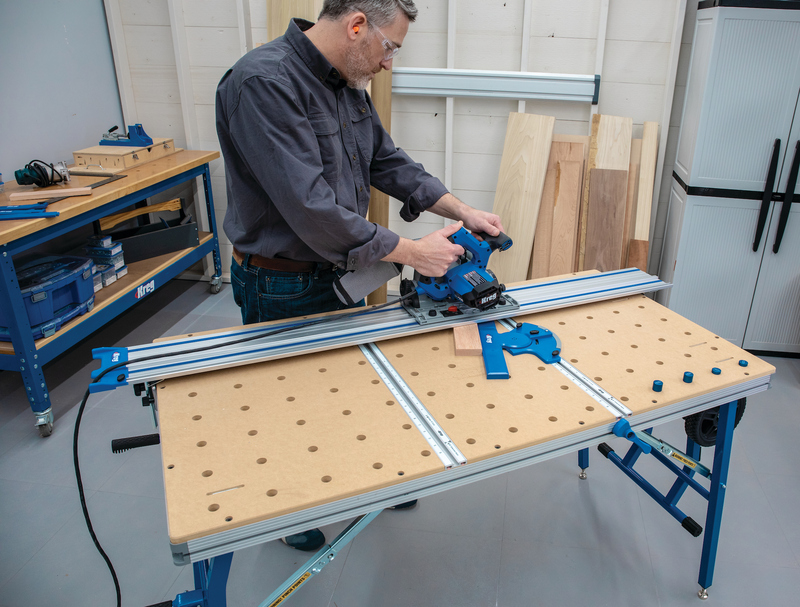 Designed with flexibility to handle standard woodworking cuts, it features auto load and offloading solutions that can be combined with multiple machining units with automatic tool-changing.